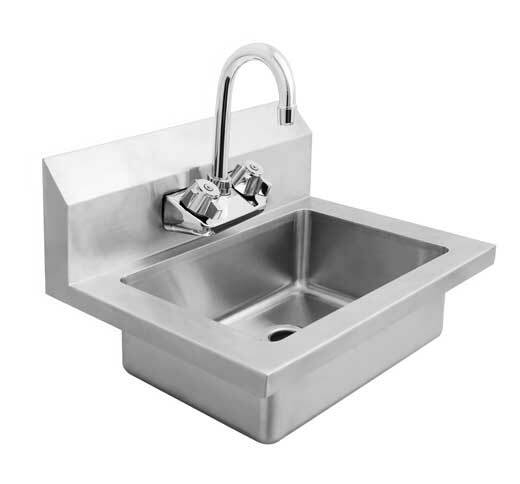 Atosa stainless steel wall mount hand sink. Bowl Measures 14 L x 10 D x 5 H 18 gauge, 300 series stainless steel, 6 inch backsplash. Box includes 1-1/2" drain, gooseneck faucet, strainer and Z-clip mounting bracket. NSF listed for commercial use.